The course with 18 championship-caliber par-3 holes routed through dramatic rock outcroppings. 5 km south from our hotel you can start your dramatic swing to a haven on the award-winning championship golf course. 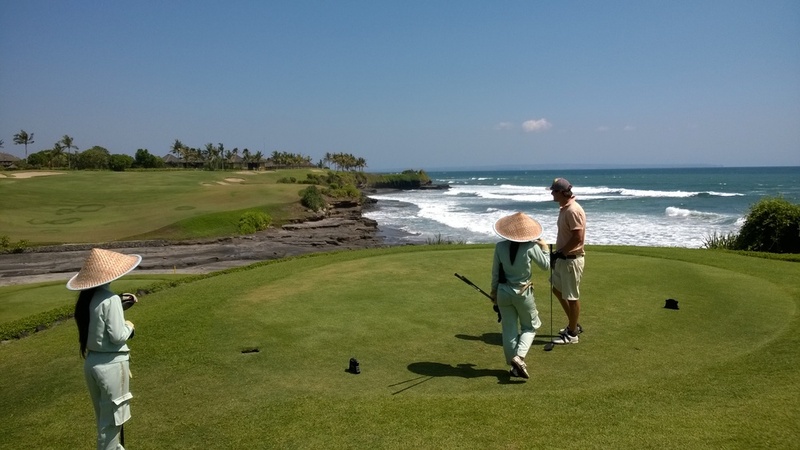 Set across a limestone clifftop as it meanders through dramatic rock outcroppings, terraced rice paddy field, the course in itself is an art savor with the spectacular white sandy beach and the Indian Ocean as its backdrop. The plethora of bunkers and strategic waterfalls sprinkled into this latest creation of Bob Moore have redefined golf unto a new pedestal of harmony and balance.